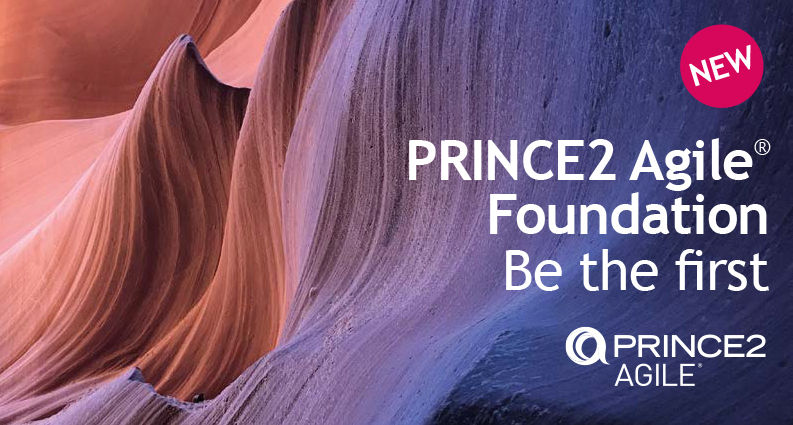 Until the launch of PRINCE2 Agile Foundation, a PRINCE2 Agile credential was only available to project managers already holding PRINCE2 or similar certifications. 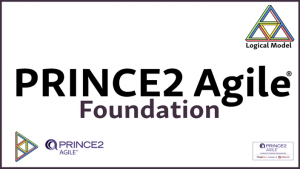 June 2018 saw AXELOS finally make PRINCE2 Agile® certification available to everyone. PRINCE2 Agile is now available without any pre-requisites too which means you can start the course today. Senior leadership use of stage gates – to give oversight and approval to the organizations’ responses to adaptive pressures – Modern governance in a complex world suited to iterative, incremental delivery and all-at-once waterfall developments. Logical Model Ltd’s participation in the April pilot was very successful. 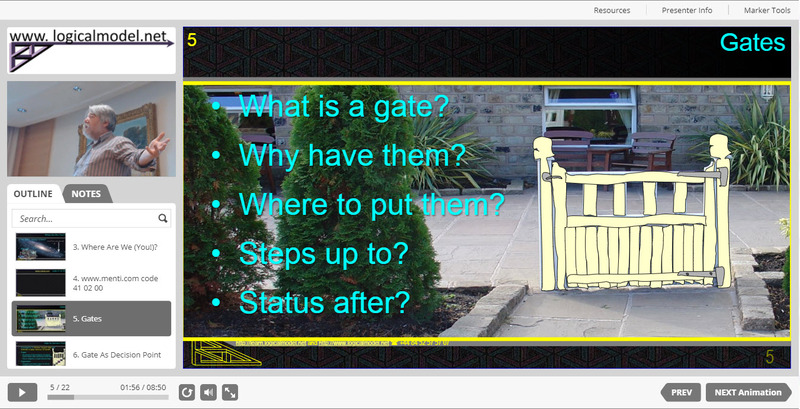 We took over two dozen candidates through their exams to a pass using JUST our video based eLearning Course. We’d scoured the manual to build our course and revision aids so you don’t have to and the Pilot proved you can be confident in the materials. *VUCA (Volatile Uncertain Complex Ambiguous) is the reality many of us operate within. VUCA contrasts with the too often presumed project start point of a Stable Certain Simple and Clear challenge from the world around us. The arrival of change is nonnegotiable, but while response is optional being unresponsive is normally detrimental. P2A is a ideal approach to bridging the needs of both management and development staff when responding to changes. 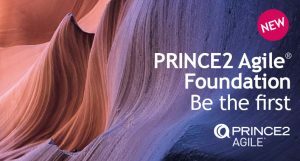 The P2A-Foundation certificate is now available to everyone, easy to acquire and puts both PRINCE2 and Agile credentials on your CV/ Resume in one go. Agile has been sweeping (almost) all before it because (used well) it forges energetic teams who can achieve fantastic results to fixed deadlines despite high uncertainty. BUT agile has failed to breach the bastions of many organisations because it does have draw-backs for many organisations when used on its own. the nost obvious is the nebulous and shifting definition that -for example – claims to justify #NoDocumentation and #NoEstimates! Any popular movement making a real impression has to have its zealots, its vocabulary, myths and beliefs. That is how it grows momentum. But these very elements are alienating for some. 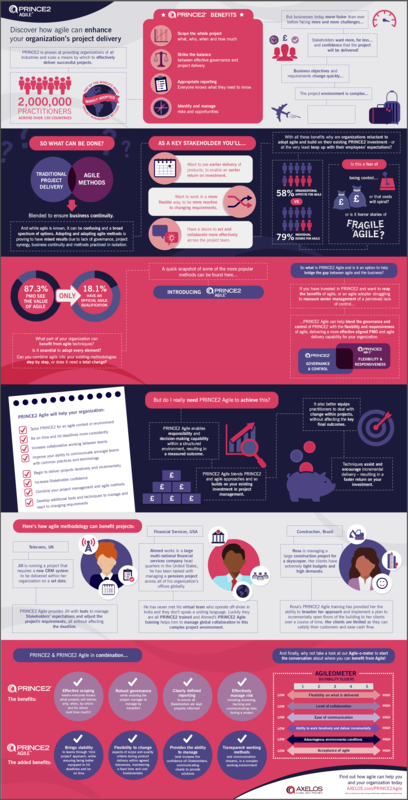 Over the past 17 years agile has been continually morphing to emerge in many guises and to venture outside of the software development groups of organisations. As a ‘young family of methods’ often deployed by the younger members of the workforce agile’s exuberance’s, its fuzzy definition and its rejection of many ‘sacred’ rules has sat uneasily with those in organisations with more to lose when things go wrong or whose personal kudos is eroded by alien practices that reduce their hold on authority. Undoubtedly their is a change in the nature of change affecting our organisations. The rules of engagement for responding to change must also change. I.E. How We Do Projects has to evolve. Our procedures must accommodate new ideas while de-emphasising or removing some of what was once best practice. 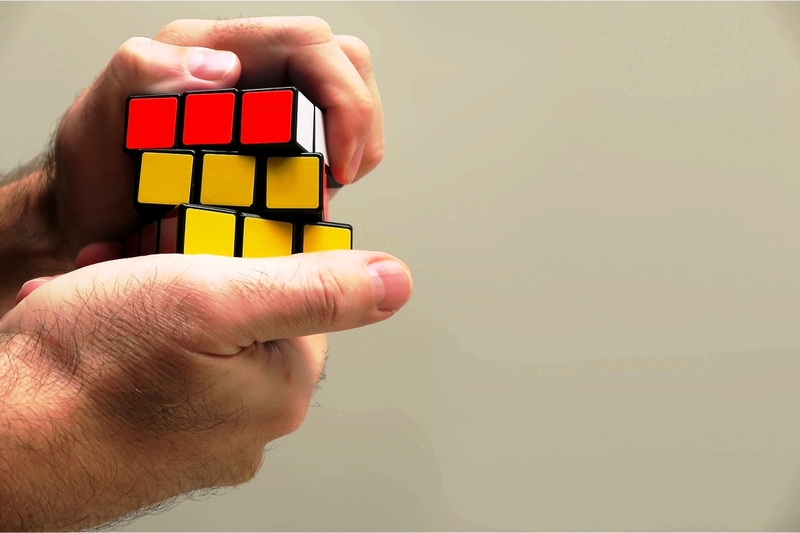 Embracing agile is the catalyst for needed, timely adjustments. P2Agile is a sound collection of the better elements of many insights and frameworks, it is the justifiable ‘excuse’ to escape from some ‘traditional’ outmoded notions –bureaucracies – and the wisdom to keep some tried and trusted ‘old’ ideas. For people and organisations experimenting with agile P2A gives you a way to scale agile use to cross team use and hybrid use, to link to the organisations decision makers and to balance technical creativity with bringing the non-technical community with you. You may be past this need though. P2A is mature enough to say “If you already have agile working at scale and linked to strategy (road-map) then we have little more to tell you”. But if you have then you’d probably be wise enough to say “new perspectives always help add a little more understanding and sometimes aid breakthrough thinking”. ShuHaRi. P2 is a control structure – The organisational plumbing to deliver decision making information to leaders and managers and technicians at key decision points. P2 provides framework and hollow piping within which agile’s (and PMBoK-Guide 6th Edition’s) structures and tools and techniques dove-tail and through which agile and PMBoK-G’s information sets flow from and to the right decision makers. The change in the nature of change means solutions are required. PRINCE2 on its own has a reputation for adding unjustified admin. effort. P2A links agile to the organisation with the minimum necessary admin effort but not less. For people and organisations recognising that current wholly non-agile approaches need to be either justified or at least researched with potential for amendment P2A provides the guidance to add agile to the organisation’s tool-kit. It is not a free lunch. Adopting agile requires adjustments by everyone. That can be hard.For example senior leaders are invested in ‘current’ ways of working and experimentation that interrupts shareholder benefits is threatening to them personally. If you have agile in use but struggle with frustrations attempting to secure engagement from the leadership and operations then the P2 elements will help you migrate agile up the hierarchy. When P2 and agile are combined we have a PRODUCT development regime and a project (INVESTMENT) control regime that fit together hand in glove. Between them they are a very solid 60% of our needs. Agile builds products in a pragmatic manner that plans for what we know and does not suffer the stupidity that arises when predictive methods are applied to uncertain futures. If the world is Volatile then a pre-written plan is a bad way to pretend to be in control. In these circumstances our organisations (that is role holders in leadership, management and technical positions) have to know how to exercise REACTIVE control. Agile gives us the mindset and permission. P2 the structures and aufitability. Nothing here is new but agile has made its existence something explicit and talked about. P2 casts the agile conversation in terms that are familiar and acceptable at the organization’s top table. PRINCE2 connects the pragmatic development approach’s event driven needs to the calendar driven, decision orientated worlds of annual budgets, sources of capital, legal frameworks and market place pressures. P2 and agile are not enough on their own because we also need Portfolio and Program. Portfolios are the collections of all our uses of resources (forms of capital). Agile often brings with it a technique called Kanban (notice board in Japanese) which is a “when we have capacity” Right to Left view of scheduling – the only sensible way to run a portfolio. Portfolio decision making precedes commitment to projects with selection of the right combination of uses of resources. Program adds and coordinates the pre- and post- technical development project activity with staff (and supply chain and customer) behaviours that together move agile’s deliverable into operational use for benefits generation. An agile development group without a nimble business is simple better at spending money not at realising benefits. Adding agile mindset to portfolio and program wrapper to project development efforts add another 30% of the total. The last 10% is the collection of tools and techniques that enable ‘Mess-Management’ to use Prof. Russel Ackoff’s term or help solve ‘Wicked-Problems’ to use Prof. Horst Rittel’s label. This 10% needs to provide the means for leadership to translate market place plus mission and resources into vision and thence to definitive testable targets thence SMART objectives, Tipping Points, Work-Packages, Activities and tasks – this last bit is the reality of Right to Left Planning – also known as Back-Casting. Activity and task are the second half of sprint planning. Tipping point and Work-Package are cross over vocabulary for backlog grooming and Epics but this is getting into detail best reserved for the training course and post course Back@Work discussion. Logical Model Ltd are an AXELOS Certified Partner approved (by PeopleCert) as an Accredited Training Organisation for AXELOS products. LML offer Axelos exam preparation courses through a combination of Instructor Led Training (ILT) formats including traditional face-to-face, ILT video based e-Learning and blended approaches plus self-directed virtual environment learning. Our course materials are accessible on phone, tablet and desktop platforms. On a closely related note Simon, our lead trainer recently presented a one hour networking session on Agile, Governance and Gates.